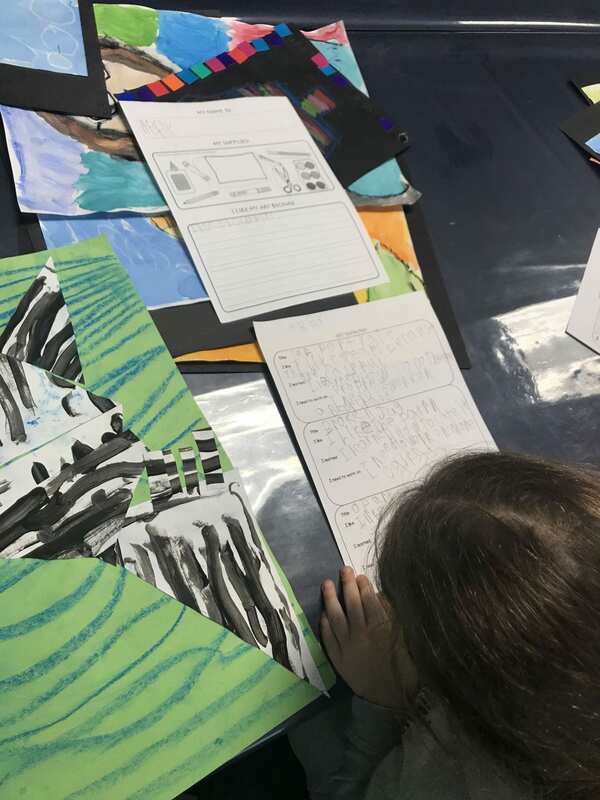 Grade 1 students have also begun the process of selecting materials and preparing their artist statements for the art show. This class was approached differently than Kindergarten as their literacy skills are stronger. Next we modelled giving creative and unique names to our art and describing what we liked about it, what we learned, and what we still want to learn or improve upon. As always emphasizing that we are all learning and always improving with practice whether we are students, teachers, or working artists. Each student was given a graphic organizer and began the process. For some, the process was effortless, others struggled to choose their favourite pieces. Some tried to rush through and needed more coaching along the way to dig deeper into their reflections. Morah Shira, I know what I learned!…Before I didn’t always like my art, but now, I know that it doesn’t have to be perfect to be beautiful! No matter what happens, this art show is already a success for me! My students are embracing a growth mindset, they are learning to be creative without fear of making mistakes and in the process they are expressing themselves and making beautiful, authentic art! I am one happy art teacher! 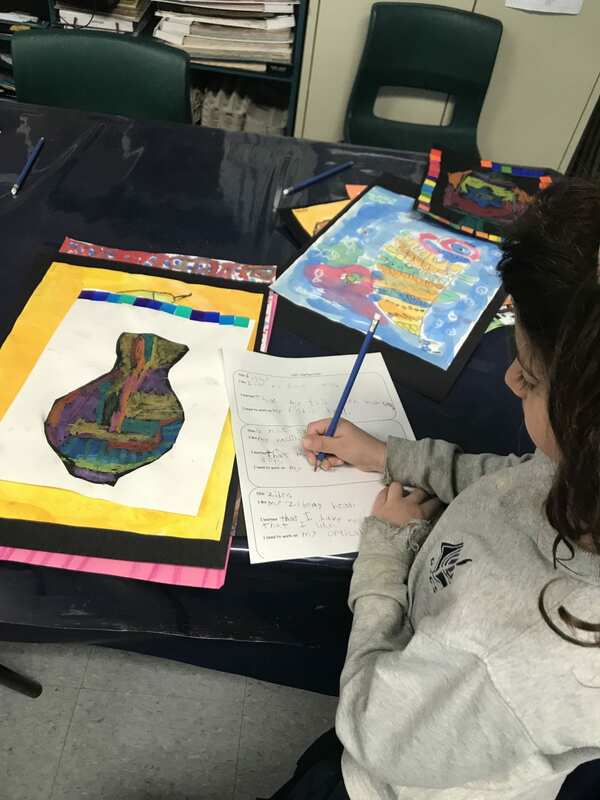 I love that you are giving your students an opportunity to reflect on their learning as part of the process of preparing for the “Art Show”! A huge part of “owning the learning” is about being reflective and about documenting the learning process. It is also a pre-step should we ever move towards blogfolios and student-led conferences – helping our students document and curate their learning, identifying artifacts and next steps, etc. Are you capturing their reflections in some enduring way? Is it part of the show or will it live elsewhere? Looking forward to the show and to the learning!